Preservation and Documentation—To collect, preserve, catalogue, and provide access to documentary evidence of the Catholic Church in West Tennessee and, in particular, to the Catholic Diocese of Memphis in Tennessee. Research and Education—To provide a center for serious study and research concerning events within the Diocese, the actions and leadership of the bishops and others, and their spiritual and geographic impact on Catholicism in West Tennessee. Inspiration—To encourage interest in the history and tradition of our Catholic heritage. Appraise, define, and preserve records and other material. Inventory and organize records and other materials into collections and sub-units of collections. Provide access to all components of the collections through computer cataloguing and referencing. Encourage recognition of the importance of archiving the historical record and educate regarding modes of organizing and preserving for all diocesan divisions, departments, parishes, and affiliates. 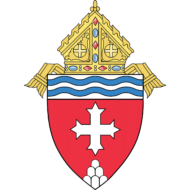 The Archives serves as the repository for the official papers of the Diocese of Memphis and those ancilliary records that reflect the work of the Church within the diocese. This includes such historical records of the churches, parishes and diocesan schools, departments, institutions and Catholic hospitals and health facilities that were once located in the diocese. Photographs and biographical data on the bishops, priests and religious who have served in the diocese, printed records, audio and video tapes of special ceremonies and diocesan activities are also included in the Archives’ holdings. Sacramental records from parishes that have closed rather than being merged with another parish, from college and university campus facilities, and from St. Peter Home, for Children are also housed in the Archives as are copies of diocesan directories and Catholic Directories. Copies of all issues of the Diocesan newspapers, from the early bulletin type, news flier to the printed newspaper size paper editions of Common Sense and West Tennessee Catholic are stored in the Archives along with reduced copies of blueprints of all churches, schools, convents, rectories, family life and other activity facilities within the diocese. Records from St. Peter Orphanage, later St. Peter Home, for Children are also here as are papers, scrapbooks and various memorabilia of major diocesan organizations and clubs. A few historical books and manuscripts as well an array of various artifacts are preserved here.